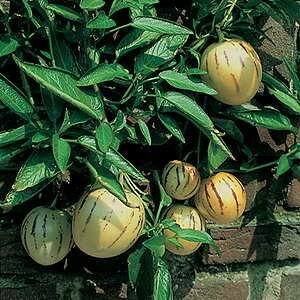 Pepino's are ideal in a container on the deck where it will flower and fruit heavily. Deemed to be parthenocarpic (does not require pollination to produce fruit) however, a much heavier crop results from self or cross pollination (i.e. grow several plants and attract the bees). Honey Dew has a really sweet flavour, it's lovely and juicy and delicious served chilled. Flesh is pale green to green. Prefers hot dry climates. 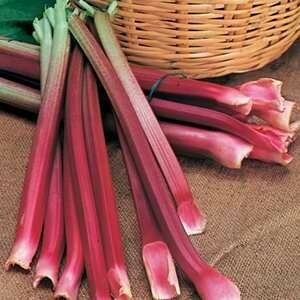 Fruit grows approx 10-12cm in diameter. Requires a frost free location along with shelter from wind. 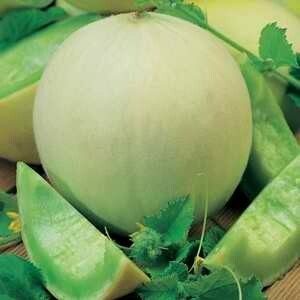 Tomatillos are the key ingredient in fresh and cooked Mexican and Central-American green sauces. Fruit should be firm and bright green, as the green colour and tart flavour are the main culinary contributions of the fruit.